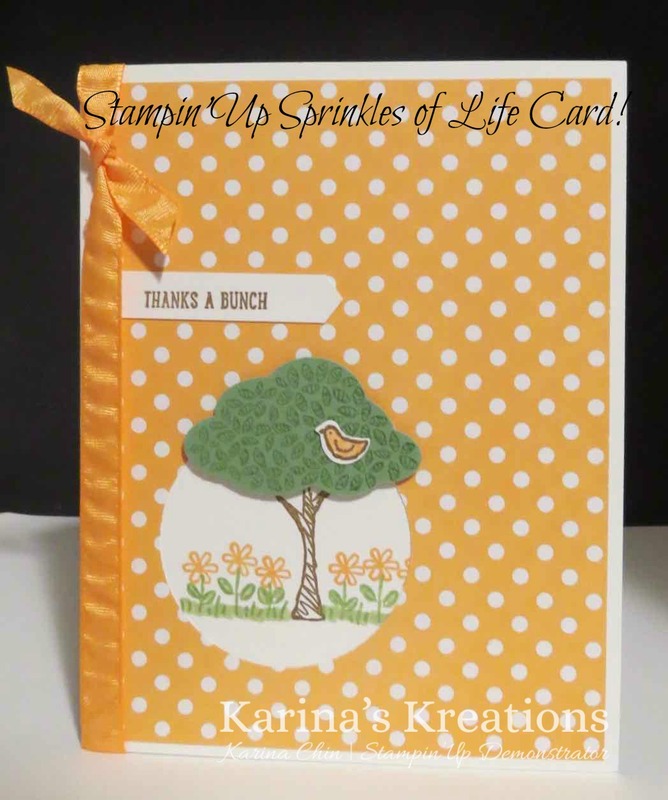 Karina's Kreations: Stampin'Up Sprinkles of Life Card! 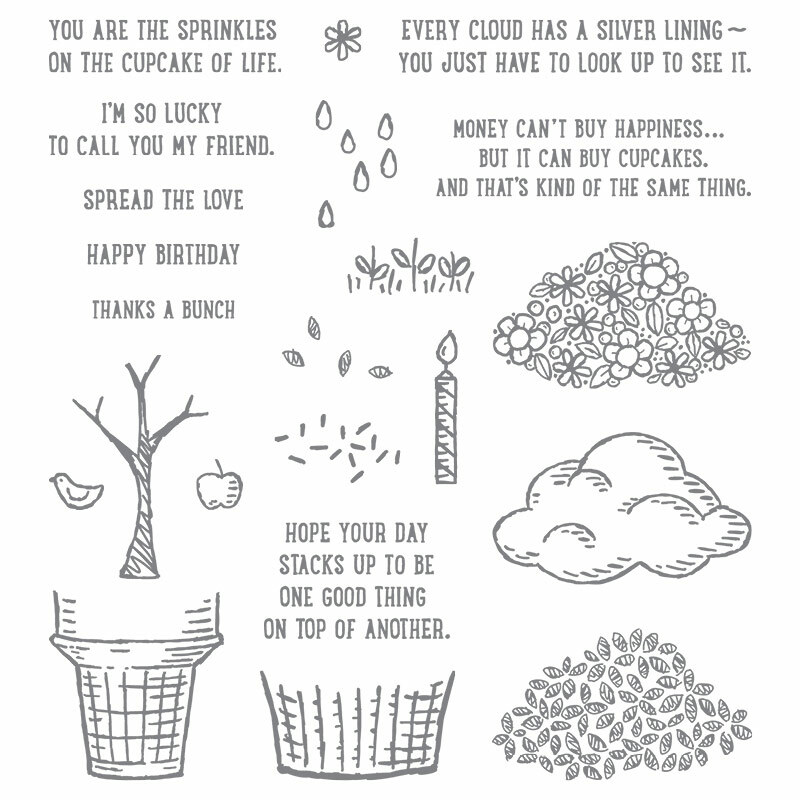 Stampin'Up Sprinkles of Life Card! This cute card uses the Sprinkles of Life stamp set #139971 and coordinating tree builder punch #138295. I designed this card for a private party for some new stampers and I wanted them to be able to easily recreate the card. 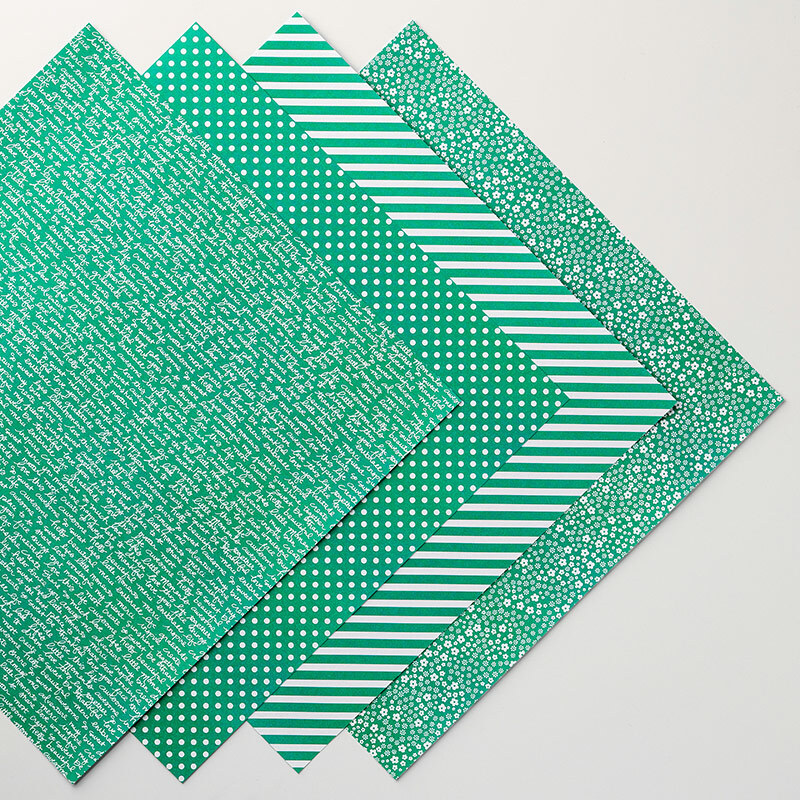 The Whisper White card stock base is 5-1/2" x 8-1/2" folded in half (4-1/4"). I punched a hole with the 2" circle punch from 4" x 5-1/4" 2016-2018 In-Color Designer Series Paper stack and laid it over the card base. The tree was stamped with early Espresso ink through the circle shape. I removed the designer paper and stamped the flowers with Pear Pizzaz ink and Peekaboo Peach ink. I attached the designer paper with adhesive. I like to use multipurpose glue because it gives me a little wiggle room before it sets in place. 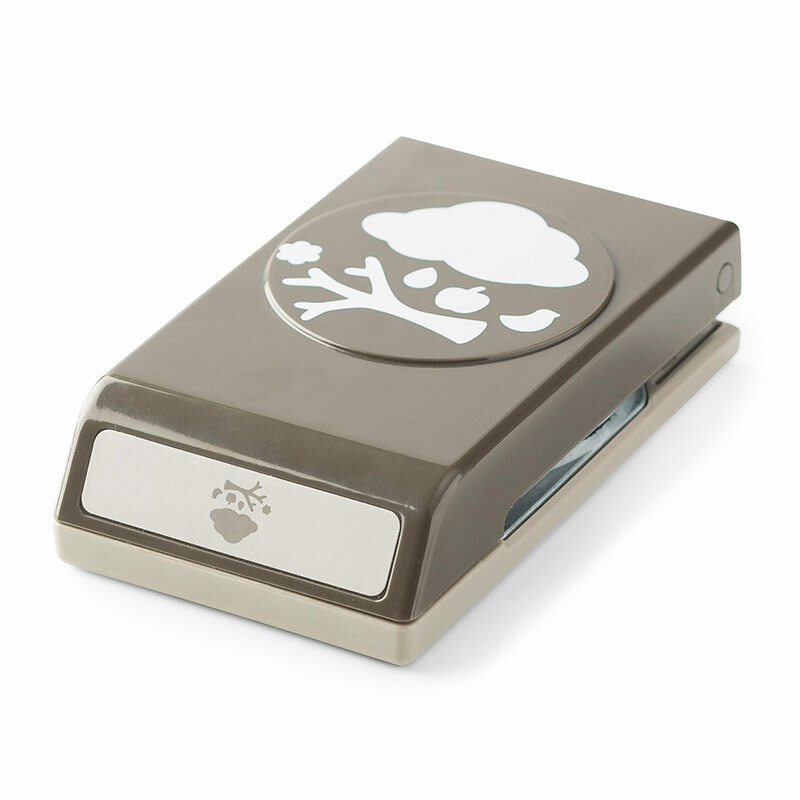 The tree top was stamped with Pear Pizzazz ink on Pear Pizzaz card stock and punch out with the tree builder punch. It was attached to the card with a Stampin' Dimensional. The bird was stamped out with Early Espresso ink and colored with Peekaboo Peach Stampin' Write marker. The greeting was stamped with Early Espresso ink and punched out with the Classic label punch. I wrapped Peekaboo Peach Ruched ribbon around the card and tied a bow.